Microsoft has taken one giant leap into open source this week by announcing that it will be joining the Open Compute Project. 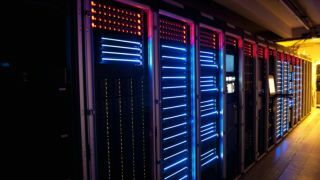 The tech giant is offering as entrance fee the designs for the cloud servers that run Bing, Windows Azure and Office 365. The designs will now be available for other companies involved in the project to build upon. Companies in the Open Compute Project (OCP) have the opportunity to diversify their hardware, and this move could mean we might be seeing storage systems and services based off Microsoft designs being pumped out by smaller members of the project, including Quanta, WiWynn and Synnex. The OCP was founded by Facebook in 2011 in order to create something similar to open source software with hardware designs. It aims for an "open hardware" movement which will drive down the cost of hardware by sharing specifications and best practices. Microsoft obviously feels that it can reap the benefits of the OCP, which has transformed Facebook's server and storage designs into commercial projects. Its own server designs, however, will offer improvements to traditional enterprise models. Windows server designs are 40 per cent cheaper and 15 per cent more efficient, according to Bill Laing, Microsoft vice president for servers and the cloud, in a blog post. "The depth of information Microsoft is sharing with OCP is unprecedented," said Laing. "As part of this effort, Microsoft Open Technologies is open sourcing the software code we created for the management of hardware operations, such as server diagnostics, power supply and fan control. We would like to help build an open source software community within OCP as well." Using the resources behind the Open Compute Project's ecosystem of hardware vendors might just enhance innovation for Microsoft's cloud platforms. The sudden changing of heart by the firm might also be a marker laid down against Amazon Web Services – Microsoft's main rival in the cloud market.